Right at this very moment you can hear the ciders of 2012 being prepared for bottle or put to sleep in barrel. Ah, what a beautiful sound that makes too! But no matter how the latest offerings have been made, they all most certainly share a similar quality. I am referring to the use of the old faithful culinary/eating apples which are being used to create Aussie ciders. 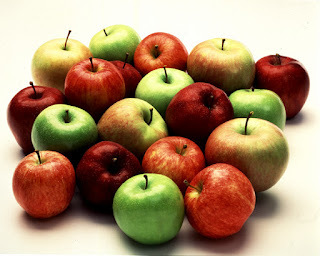 The most common varieties being the likes of Pink Lady, Golden Delicious, Jonathon and Granny Smith. Pink Lady is an amazing eating apple, with thousands being consumed across Australia in little kiddies lunch boxes or at the smoko table each day. But she is now becoming the apple of choice for Australian cider producers mainly due to its beautiful sweet apple characters and good acidity. Producer's like Lobo, Apple Thief and The Blackwood Valley Brewing Company are all using Pink Lady as their base blend - not bad for an apple which fetches a whopping $5.00/Kg at the supermarket! Ouch!! I often get asked about what culinary/eating varieties work well in cider making and to tell you the truth, there is no real right answer. What the Australian cider industry lacks is a clear, defined quality system which resembles that of the traditional cider apple system (which I will explain later). What does Golden Delicious offer? or Jonathon? or a Fuji? Pipsqueak Cider from WA uses a mix ranging from Red Delicious to Granny Smith. But to quote Melissa Fettke the head Cidermaker in regards to the apples - "it's what ever we can get". This is all well and good, but as long as consistency is maintained then it's only going to be a mixed bag end result. I like The Hills Cider Company's approach by trying to get some sort of quality system in place. For example, through their experience they believe Granny Smith gives acidity and crispness, Golden Delicious gives complexity and Jonathon offers up-front apple flavour. With such distinctions able to be made between differing varieties, this then could be used as a useful tool in the blending process to help stylise a product. This also relates to pears in perry (or pear cider) with varieties like Packham, Beurre Bosc and Lemon Bergamot being used, but perhaps not totally understood. We really are lucky here in Australia that we have many quality apple growing regions producing tonnes of superior fruit. In Australia, have you heard of Yarlington Mill, Bulmers Norman, Kingston Black or Somerset Red Streak? No? What about Frequin Rouge, Binet Rouge, Frequin Tardive de Sarthe or De Bouteville? Still no? Well you need to do your research then! These are only just a few of the amazing traditional cider varieties which are used in countries like England, Wales, France and also now Australia. They are much smaller than a conventional eating apple, and in most cases are inedible due to their high bitterness. Traditional cider apples are broken down into the cultivar classification of: sweet, bittersweet, sharp and bittersharp. What culinary/eating apples lack fundamentally is bitterness and tannins - the hallmarks of a great traditional apple cider. These qualities can be substituted with bitter and astringent crab apples, but it does not give the same affect. What I am delighted to see are Australian producers like Lobo, Red Sails, Henry of Harcourt, Gilbert and Small Acres using these cider apples. 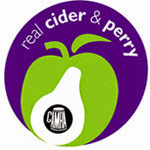 The ciders are really of top class quality and offer more in terms of complexity and apple intensity. Culinary/eating apple ciders just lack this third dimension often offering thin, highly tart/acidic ciders which fail to excite. Having said that, there are some amazing ciders being produced in Australia with the less traditional apple. The cider apple classification is a tool which is used for the blending of varieties to create a product which is balanced in tannin, acidity and sweetness. The blending of the differing characteristics to produce a well balanced, and consistent product is the fundamental skill of a Cidermaker. But varieties like Kingston Black or Dabinett, perform amazingly well as a single varietal cider. 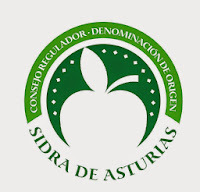 They produce well rounded and balanced ciders of immaculate quality. Please read my review on Gywnt y Ddraig - Dabinett to learn more! So as you can see, culinary/eating apples lack this sort of system which at then end of the day could be very useful. Obviously I have only just scratched the surface of the use of culinary/eating apples in Australian ciders. I believe there is much more we can learn in terms of their use and properties - which will only come about with experience. The use of traditional cider varieties is gaining momentum here in Australia rapidly. But until they plentifully arrive, continual prudent use of the less traditional apple needs to be maintained. I plan to discuss the more well know traditional varieties in future blogs, along with ciders which contain them.